You must make reservations at least 5 minutes in advance of the time at Haven. $6 Bar Bites, $5 wines by the glass, $4 cocktails, $3 beers, $2 each oysters! Haven Happy Hour will be available at the bar, lounge, and our pet friendly outside patio areas. Hours are Mon-Sat 5pm-7pm and seating is first come first serve. Please note Haven Happy Hour is not available in the main dining room. Bern's Steak House, Haven, Bern's Fine Wines and Spirits, and The Epicurean Hotel present an annual event of food and wine. Five days to indulge in all your wildest culinary and wine fantasies. Looking for an indulgent night that only comes around once a year? Start the holiday season off with Sunday Supper and know your ticket will help a James Beard scholarship recipient. For information, please contact Jeffrey Gould, Group Sales and Catering Manager, at 813.258.2233, or jgould@haventampa.com. 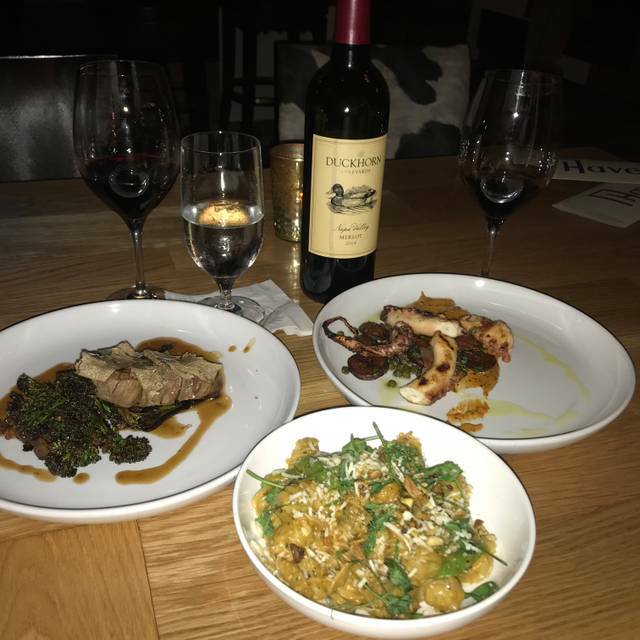 Haven features Executive Chef Chad Johnson's, and Chef de Cuisine Courtney Orwig's modern cuisine served in a stylish, relaxed and casual atmosphere. 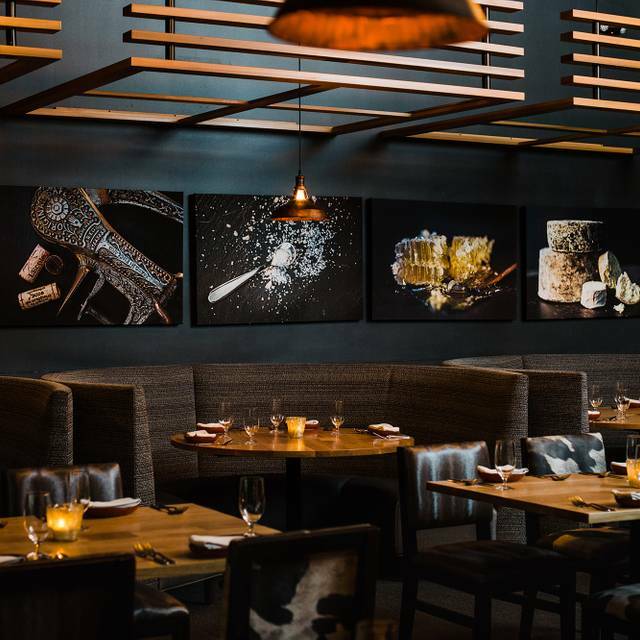 Haven offers guests the ability to taste different flavors and textures created in a crafted, cultured and cellared atmosphere. Haven specializes in artisan cheese, house-made and imported charcuterie, as well as small composed plates. Another phenomenal experience. Dined alone at the bar in front of NCAA basketball game. Natalie (I think) was attentive without being overbearing knowing that I was watching the game. Food was exquisite and will definitely return on my next trip to Tampa. Yes it was okay. The main dish was cold.... I ordered skirt steak medium well and it came out medium and almost warm... kind of cold. I was starving so I almost eat all of it... except for the parts that were really red. They took it off the bill. But it kind of ruined my meal/experience... because it was my first time. We ate outside, so the noise level was lower than inside. We didn't have a huge meal at Haven, but we loved all of what we had. Cheese selection is so much fun, unusual and tasty. Interesting wine choices. The duck liver ravioli was a standout. Service was attentive and knowledgable. A memorable stop on our visit to Tampa. Our first visit and it won't be our last. Great service (Cristina). Explained small plates concept. Perfect sizes for smaller appetites and sharing. Busy but did not feel crowded. Definitely make a reservation tho. Perfect spot to celebrate our wedding anniversary. The service was excellent. We had the sommelier pick out the best bottle of wine. We loved the selection. The food was delicious and we loved the sharing the plates. Great atmosphere and such a beautiful restaurant. Always a pleasure to dine here. Food was amazing. The service was top notch. Our server made it a tailored experience to meet the likes and dislikes of our party. Our waiter was the absolute best and this is such a great date night place. Great restaurant with a nice wine list and we love the small plate element. My only complaint would be that there aren’t enough simple, healthy choices; I asked if the dumplings were steamed, got an affirmative answer, but even they came pan fried. Lots of cheese and fried veggies, which are delicious, but a couple more plain choices would be welcome! Thank you for your review and feedback BelmontBabe, Your feedback means a lot to us and will discuss with our chefs about creating healthy items. Thank you for joining us at Haven and we look forward seeing you again to try new additions to the menu. Always a great experience! Service was awesome, Tommy was an amazing server. We were spoiled with a champagne toast and a sparkler at dessert. My friend said she absolutely enjoyed her bday dinner. Only request, please bring back the Baked St. Albans! If that was back on the menu, we’d be there more often! It was our first time dining at Haven. The food was excellent, and our waitress was friendly and professional. This is a great spot for date night. We went to Haven to celebrate a special occasion and were beyond thrilled with the experience. The food was outstanding. It was hard to choose from the menu because EVERYTHING looked so amazing - and it was! The waiter was helpful, available, not pushy, and very informed. The ambiance is gorgeous; effortlessly chic and the perfect amount of warm and inviting. We will definitely be going back. I would and have recommended Haven to people! We arrived a little early for our reservation and were seated immediately! Our table was outside and the weather was perfect. Our server David was very knowledgeable about the menu. 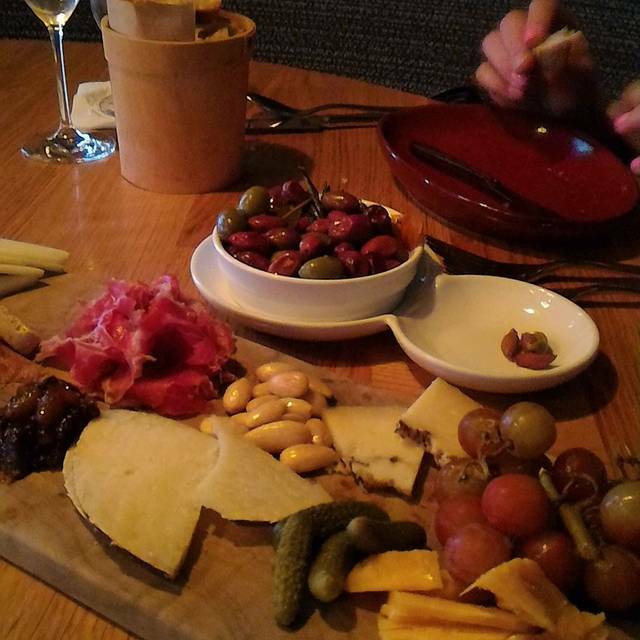 We got the charcuterie and cheese selection for happy hour and had a couple of drinks! It was a great value and awesome quality! We are already making plans to revisit! One of our favorite restaurants in Tampa. Typically my wife and I make a date night out of it. This time we took family who was visiting from out of town. 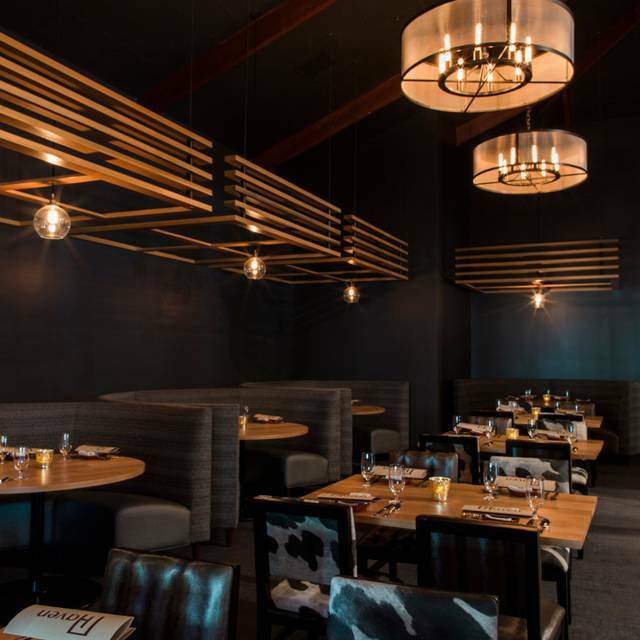 Haven is great for a quiet intimate meal, a business dinner, or a night out with friends. Had a great experience from wine to cheese board to the individual plates we shared. I love going to Haven for the drinks, the ambience and the great service! Messed up our order and didn’t even fix it. Paid well over $200 for dinner for just my husband and I and we both got sick from eating there. A nice place for a cocktail. Very nice looking bar area. Our favorite place to visit everytime we’re in Tampa. Gregory’s wine selections are always spot on and Tommy’s service was attentive and on point! Thanks for making our visits special year after year. Among so many good choices in Tampa, Haven is still the BEST choice. Everything works ... The service, the wine, the food, the ambiance. This is an outstanding dining experience. ... This was the fourth dinner party I have hosted at Haven over the last two years. I appreciate the consistency in all things! This time, we had a group of 8, and our servers and waiter could not have been more top notch! ... They treat you like they would want to be treated. Amazing as always! Great service and delicious food and drinks. Thank you for the review CourtneyT!! Food, drinks and service were amazing. David was a spectacular waiter! Can’t wait to visit Tamp again! Thank you for your review!! Happy to hear David and the team gave you the experience you deserve. We had a reservation at 8:15 - they didn’t seat us until 8:25. A waiter didn’t come over for another 15 minutes and funny thing is they weren’t even very busy. There were plenty of open tables when we got there. We went for one of their cheese and meat boards. Took 45 minutes just for that to come out and the portions were crazy small. Overall, it was just an okay experience. There’s much better places in Tampa to go to. Restaurant is extremely noisy and really detracted from the evening. Server seemed to be assigned tables all over the restaurant and we had to finally go to the reception desk to ask for our check. Thank you for the reviewEC1961!! Fabulous food (ORDER THE MUSHROOM TOAST) and the most knowledgeable servers anywhere. Always a wonderful evening at Haven. Be sure to ask for Natalie at the bar! The food was really bland. Cheese, charcuterie and wine were excellent. Probably the best selection of cheese I have had since my trip to Italy last year. We tried several menu items from the rest of the menu as well. The beef cheek fried rice was a real winner. The mac and cheese was also very tasty. 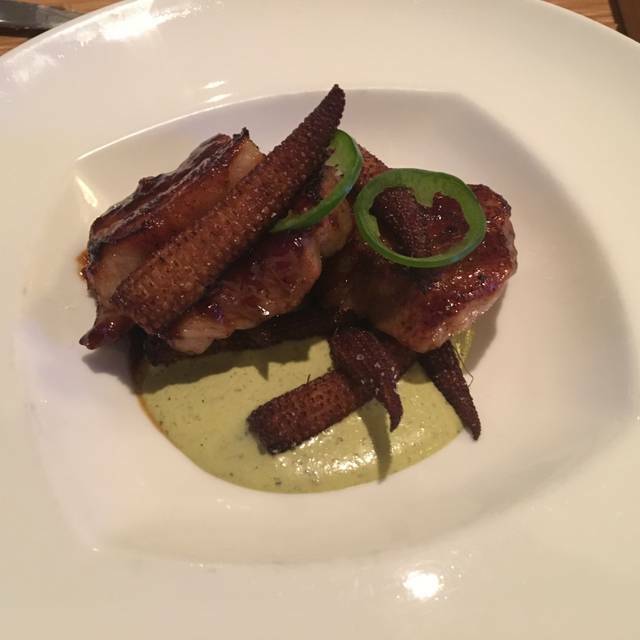 We weren't as pleased with the charred pork belly and duck liver ravioli, and would probably stick to cheese and charcuterie next time. 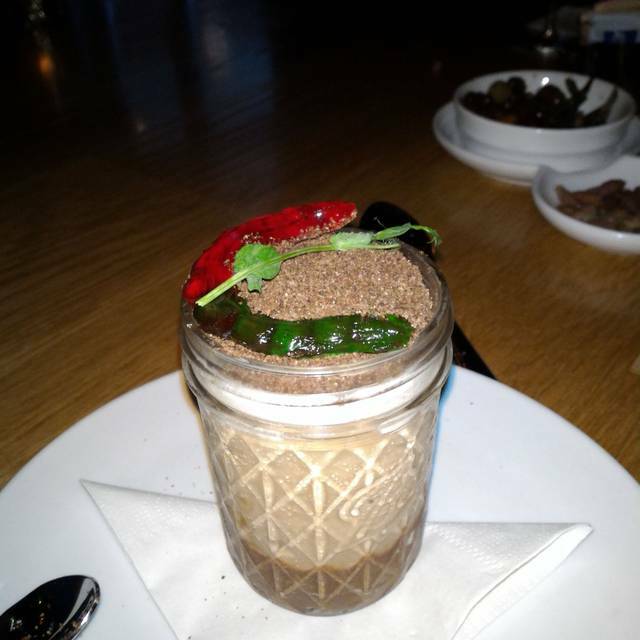 Overall a great restaurant with excellent service and a great ambiance. Very solid tapas style. The Brussels sprouts are to die for. The porterhouse for two was excellent! However the gnocchi rice it was served with was NOT! It was greasy and frankly gross. The Brussel sprouts were very good. The cheese and meat board was wonderful! We went for Valentine's and they had a prie fixe menu with 2 options for each of 5 courses at $75 per person. I've been to this restaurant before and the food is amazing as it was tonight. 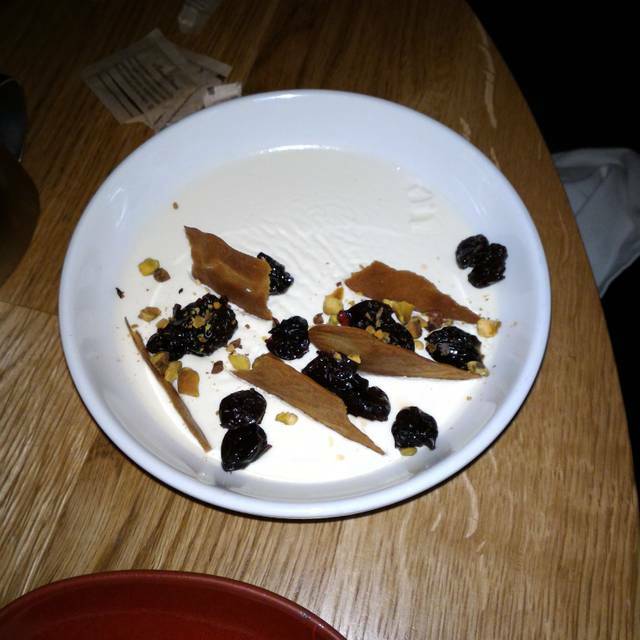 However, the tasting menu left us wanting more in terms of portion size even after 5 courses it just wasn't enough food. At $75 per guest I expect to be stuffed! Will return but definitely prefer the regular menu, their plates are generally large shareable size so this was a bit of a letdown on that note. Food was delicious though and service was great as usual! Valentine’s Day dinner. The set menu was good but very expensive. Thank you for your review. I would appreciate if you could provide me with the dishes that were bland to address with our chefs to prevent future issues. I can best be reached at mkuewa@haventampa I look forward hearing from you. Went for Valentines Day. 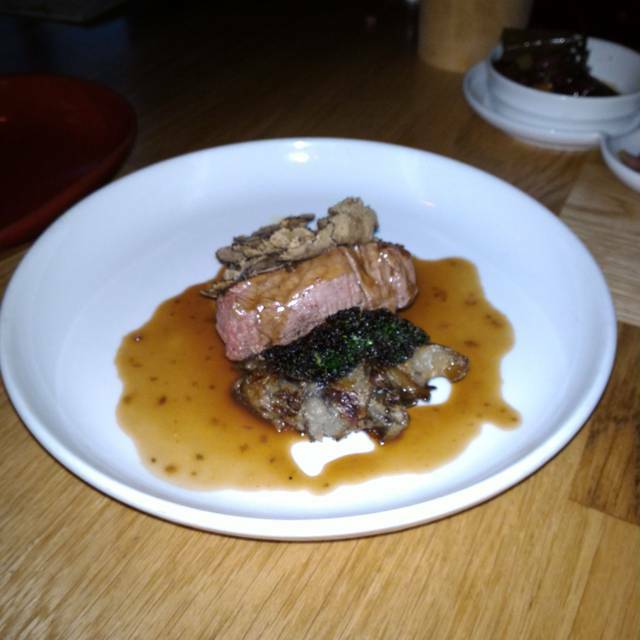 I had been before and it was an excellent experience but for Valentine’s Day it was a price fix menu which was very expensive and not that much food. Would recommend the restaurant but definitely not for Valentines Day. I would not recommend Haven’s fixed price menu on Valentine’s Day. While I have had fixed price menus on many occasions before, the plates at Haven were woefully small and unfilling (one ravioli?) and the taste of the dishes was either overpowering or under seasoned. There was also no cohesion. It was all over the place. The value for the money was very low. I love Haven and Berns and would go any other time so I really hope they rethink their fixed price selection and value. Service and ambiance was great, as always! Service was fantastic, one of the best waitresses I've ever had! The restaurant was beautiful and ambiance was perfect. Then there was the food...a complete let down. 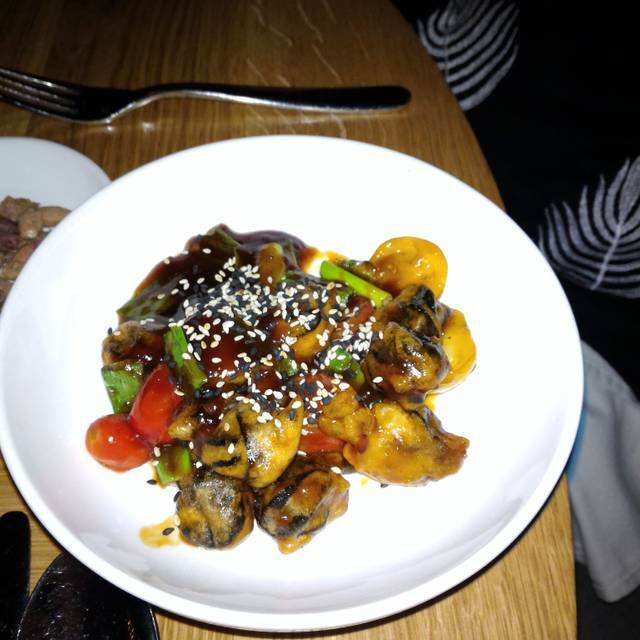 The kitchen didn't believe in seasoning, the food was bland/lacked flavor or it had one note. It has all the elements of a great place but when someone pays over $200 for dinner it's not unreasonable to ask for good food. Service was a bit slow but that’s probably just the nature of the restaurant (wine, charcuterie, small plates, etc). Our server was very helpful and informative. We went for a friends birthday and a manager brought out a complimentary champagne toast which was lovely and unexpected. Everyone’s meal was DELICIOUS but would have liked to see a little bit of a larger portion for price point— all in all I would highly reccomend this place for a girls night or a special occasion! Small plates very good. Service great and nice wine list. If you like to eat small plates it is a place to try. Nice neighborhood atmosphere. Thank you for your review Sunshine!! Happy to hear we were able to give you the experience you deserve. We look forward seeing you again in the near future.